What you're looking at above is a photo from an FCC certification for a "4K ATV Stick" manufactured by "Shenzhen SEI Robotics Co." There are a boatload of photos of this apparently Android TV-powered device in the FCC listing, including a very poorly-written manual with sentences like "Set up your TV with Android phone or tablet if you have." And there's a big, fat Google "G" logo plastered on the front. The painfully conspicuous branding seems way too obvious to me, and the fact that there are no other references to Google itself aside from a mention of the Google Assistant in the user manual make this all seem pretty suspect. 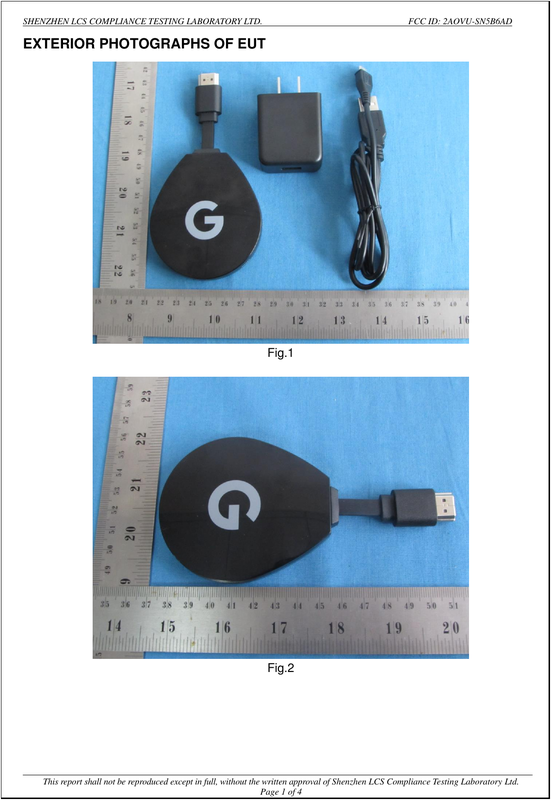 Is it a counterfeit device meant to play on the obvious demand for an official, Google Android TV dongle? It certainly could be. 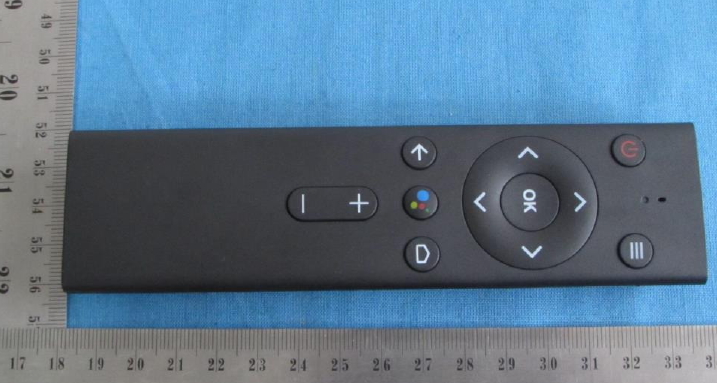 The remote does bear what is obviously a Google Assistant logo. In short, there is precious little information in this listing that points to Google directly, and Google has no known previous manufacturing relationship with this company. While a white label manufacturer in Shenzhen did make Google's Pixel Buds, I can't find any previous Google product built by SEI Robotics. That doesn't mean this is a fake by necessity, but it does mean a healthy dose of skepticism is warranted. We reached out to Google, and a spokesperson replied that the company does not comment on rumors or speculation. We'll update this story if we learn more. In an interesting twist, the images from the FCC filing have been pulled from the FCC's website. All but one: the label location photo, which shows the back of the device - meaning no Google "G" logo is visible. In addition, an amended confidentiality letter has been posted requesting that images and the user manual, amongst other things, remain confidential for 180 days. Very interesting, indeed. Could Google be involved with this dongle after all? Guess we'll have to wait and see how this all unfolds.